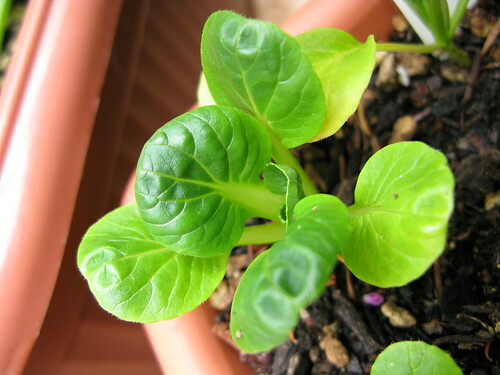 A rosette-shaped Chinese cabbage, like bok choy, but with flatter growth & small, round spoon-shaped leaves. Tasty raw or cooked, sweet like spinach but also spicy. This planting is in the Back Deck garden .